Blend everything in a blender till smooth.except for chia seeds .pour blended mixture in glass .add chia seeds & keep aside for 15 minutes and drink. Tips:-One can pre-soaked chia seeds with 2-3 tbsp of water for 15-20 minutes or add chia seeds directly with other ingredients too. 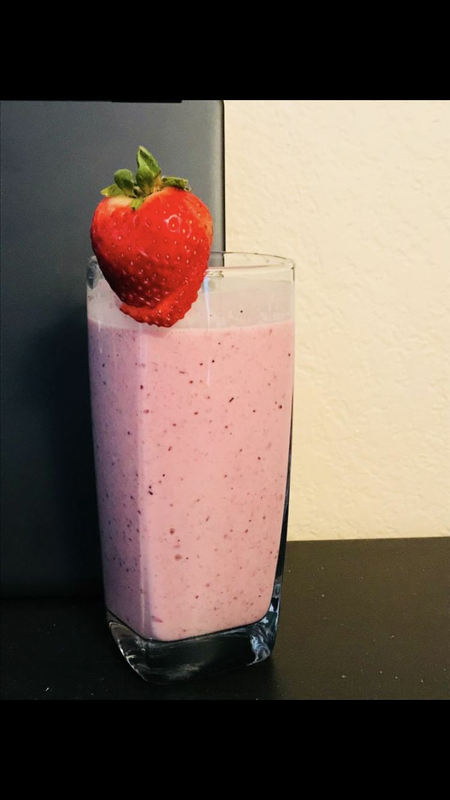 Adjust for sweetness with honey, I didnâ€™t add at all.Â the chia seeds will make the smoothie get very thick if you let it sit for a while before drinking, so be sure to enjoy the smoothie right after you blend it up!